I was sorry to learn that ABC canceled The Assets, which dramatized the CIA's search for a spy and traitor who gave up all of the top Soviet "assets," after only two episodes. 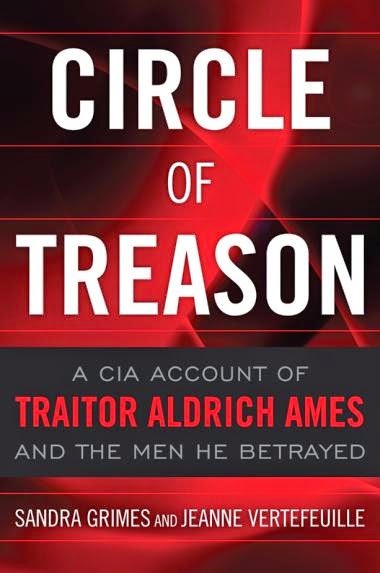 The spy and traitor turned out to be CIA officer Aldrich Ames. Many of the assets, also known as agents, Ames betrayed were later executed by the Soviet KGB. I suspect ABC expected to bring in ratings like the fictional espionage series The Americans and were disappointed when they did not. Thankfully, ABC On Demand is now offering the rest of The Assets on Comcast Cable. I watched the rest of the series and I enjoyed it. So if you have ABC On Demand and you're interested in the history of espionage and/or enjoy a good true spy story, then you might want to watch The Assets. One of the spy hunters, and the co-author of Circle of Treason, the book the series is based on, is former CIA officer Sandra Grimes.